The laboratory of VISICORT researcher Prof. Thomas Ritter has demonstrated that intravenous infusion of mesenchymal stem cells (MSCs) can reduce the rate of rejection of experimental corneal transplants (Treacy et al., Am J Transplant. 2014 Sep;14(9):2023-36) and we are now actively working toward performing a clinical trial of MSCs in human corneal transplant recipients at high risk for rejection. One of the most important research questions regarding MSC therapies in corneal transplantation and other immunological conditions relates to the fact that these cells can exert long-lasting effects on the immune system while persisting in the body for only 1 or 2 days after administration. An important new study from the Department of Ophthalmology at Seoul National University Hospital, South Korea (Ko et al., Proc. Natl. Acad. Sci. USA, 2016 Jan 5;113(1):158-63) has shed new light on this question. “Regulatory immune cells may be critically important to promote improved survival of an allograft such as a corneal transplant. One such immune cell population is myeloid cells including regulatory monocytes and macrophages. In this paper, Ko and colleagues aimed to investigate whether MSC-educated myeloid cells can induce immune tolerance to allogeneic corneal transplants and to determine the mechanism by which this might occur. The authors administered one million human MSC intravenously to mice 7 and 3 days prior to transplantation of corneas from an unrelated mouse strain. The results showed that MSC-treated transplant recipients had improved rejection-free graft survival compared to non-MSC treated recipients. Additionally, human MSC-treated recipients had less inflammation in the grafts and draining lymph nodes, a more intact corneal endothelium, and less corneal oedema. However, the authors did not attribute these effects to MSCs migrating to the site of transplantation and acting directly on the rejection process as less than 10 MSCs per cornea were detectable. Therefore it appeared likely that the immune modulatory effects of intravenous MSCs take place elsewhere in the body. The authors found an increased percentage of myeloid cells co-expressing the surface marker combination MHC-II, B220 and CD11b in the lungs of animals treated with human MSCs. To investigate if these cells had the ability to modulate an immune response leading to corneal transplant rejection, B220+ and B220– myeloid cells were isolated from the lungs of human MSC-treated mice. When these isolated lung cells were cultured with stimulated T cells, it was found that B220+ cells significantly suppressed T cell activity, thereby confirming their immune regulatory potential. They next transferred B220+ myeloid cells to mice at the time of a corneal transplant and found that they resulted in a significantly increased rate of rejection-free survival. Furthermore, human MSC administration failed to prevent corneal transplant rejection in mice lacking myeloid cells. Previous studies have indicated that MSC therapeutic effects are mediated through secretion of soluble molecules. The authors of this study found that expression of a gene known as TSG-6 was increased in the lungs of human MSC-treated corneal transplant recipient mice. The involvement of TSG-6 in generating regulatory myeloid cells was confirmed by the observation that blocking production of TSG-6 in human MSCs prevented the increase of B220+ cells in the lungs of treated mice. 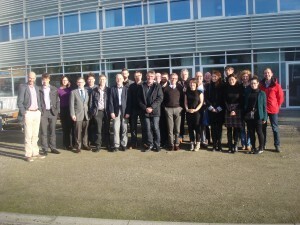 The two-day meeting brought together researchers from nine EU-funded projects pursuing MSC research. In addition to REDDSTAR, other projects represented at the meeting included ADIPOA-2, REDDSTAR, Stellar, RETHRIM, REACH, MERLIN,SCIENCE and NEPHSTROM. After a welcome from Henri Lenferink, Mayor of Leiden, European Commission Project Officer Dr. Charles Kessler highlighted the EU’s continued support to regenerative medicine research, and a Fundamental MSC Biology lecture was delivered by Prof. Dr. Yufang Shi from the Institute of Health Sciences, Shanghai, China. Following on, the nine EU-funded projects were presented. The VISICORT consortium met at the Aarhus University Hospital, Aarhus, Denmark on the 12–13 November for the project’s third plenary meeting. Teams of researchers from each of the twelve partners involved in the project listened to reports of the work being carried out in each of the project’s workpackages. These included reports of the preclinical experimental work being carried out to model corneal rejection in rats and to access the benefits of mesenchymal stem cells (MSCs) in helping to prevent transplant rejection. 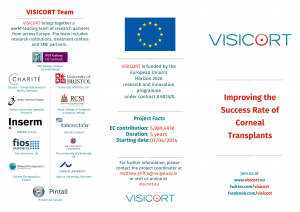 The consortium was also updated on the progress in recruiting patients to VISICORT’s clinical studies, and the work that has been carried out to support the complex sample and information management needs of this ambitious project. Commenting on the meeting, VISICORT coordinator Prof. Matthew Griffin (NUIG) said: “It was clear from our meeting in Aarhus that the VISICORT project is now in full swing. We are fortunate to have recruited an exceptional group of front line researchers who are working together across all partner sites to optimise and streamline biological sampling and transport procedures, maximise subject enrolment to our clinical studies, perform and interpret key pre-clinical experiments, and lay the groundwork for advanced immunological profiling and system-level analysis of corneal transplant rejection. 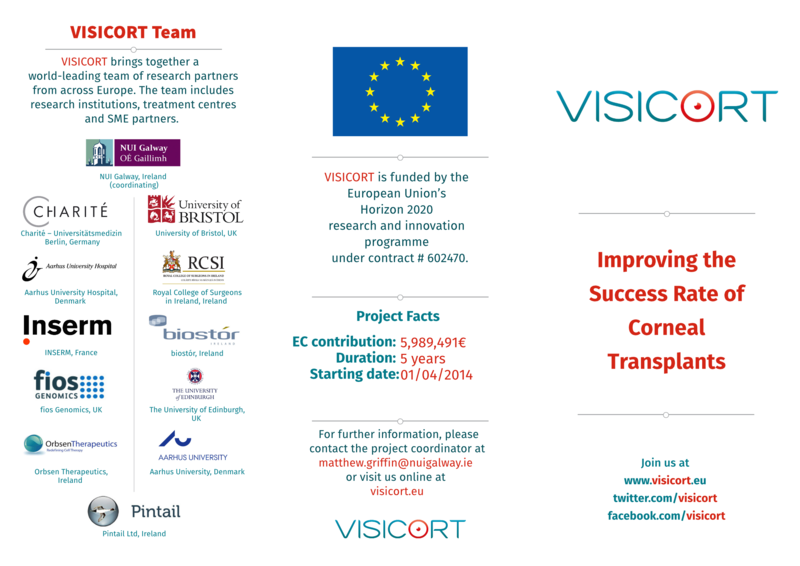 The VISICORT consortium has established and integrated two unique assets that serve as a foundation for the next stages of the project: a purpose-designed clinical database of new and established corneal transplant recipients from five leading medical centres developed for us by PathXL, Belfast, Northern Ireland and a centralised bio-repository of samples from these same study subjects at the site of VISICORT partner Biostór Ireland Ltd. In addition, the combined clinical, scientific and technological expertise of the consortium is being harnessed to effectively translate our pre-clinical observations into the first clinical trial protocol for mesenchymal stems cells in corneal transplant recipients at high risk for rejection. 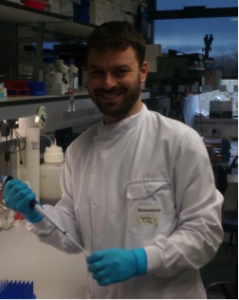 We face an exciting time over the next six months with laboratory and clinical studies beginning to yield novel data and insights into the immune responses that determine the success or failure of the most common tissue transplant”. The corneal transplant team at the Department of Ophthalmology at Aarhus University Hospital is the largest in the Nordic countries, and performs around 300 corneal transplantations annually. In addition, the Danish Cornea Bank, which is based at the hospital? distributes more than 400 cornea grafts per year. Corneal transplantations are only performed at two hospitals in Denmark, and the hospital in Aarhus serves more than half of the Danish population (close to 3 million citizens). The Regenerative Medicine Institute (REMEDI) at NUI Galway was delighted to host a visit by winning essay writers from St Nathy’s College, Ballaghdereen, Co. Roscommon. Each of the winning students had written an essay on the topic of stem cell, outlining the history of their discovery, and their potential to revolutionise the treatment of a range of medical conditions. The winning students – Michael Raleigh (1st), Tom Murray (2nd), Mohammad Hamid (3rd), and Annie Quinlan (3rd) – and John Guilfoyle, their teacher, were treated to a tour of REMEDI’s facilities. The competition was initiated by Oonagh Redmond, a teacher at St Nathy’s, and was organised by members of the ADIPOA-2 team. Prizes were sponsored by ADIPOA-2, VISICORT, and REDDSTAR. VISICORT has produced a new brochure to promote the project, and to explain its aims, objectives, and approach to a general audience. Copies of the brochure can be downloaded here. A recently published study in Transplantation Proceedings presents changing trends in corneal transplantation (CT) from Italy. The Corneal Transplant Epidemiological Study (CORTES) presents seven years of data, 2002 to 2008, from a prospective study which included over 13,000 CT. In general, trends were driven by changing clinical practise and mirrored similar trends observed in Western countries over the same period. The study demonstrated the marked transformation in surgical approach to CT from Penetrating Keratoplasty to Endothelial Keratoplasty in recent years. Of particular relevance to VISICORT is the 20% increase observed in re-grafts over the period; regraft was the second highest indication for corneal transplant over the study period. Regrafts are considered as high-risk transplants and VISICORT’s immunomodulatory stem cell therapy aims to provide novel treatment for high-risk transplant recipients. Lead author of the study, Dr Sing-Pey Chow, reports: Immunological graft rejection remains the leading cause of graft failure in corneal transplantation. Systemic immunosuppression with medications such as tacrolimus and mycophenolate mofetil has been successfully used in renal and liver transplantation to improve graft survival. They are also used in corneal transplants at high rejection risk to prevent graft rejection, with the aim of improving graft survival. This retrospective study reported graft and visual outcomes from 35 full-thickness corneal transplants at high risk of rejection in 29 patients receiving systemic immunosuppression, mainly with tacrolimus or mycophenolate mofetil as monotherapy. With the longest follow-up duration reported to date in high-risk keratoplasty recipients on systemic immunosuppression, 5-year graft survival in this cohort was 73.5%. Rejection episodes occurred in 14 grafts (40%), and episodes were reversible in 10 (71%) grafts. Average time to first rejection episode was 9.9 months, ranging from 1.2 to 15.2 months. Severe systemic side effects occurred in 3 patients (10%), necessitating cessation of their systemic immunosuppression. This highlights the importance of diligently monitoring patients while they remain on these medications, as well as working closely with physician colleagues to optimise patient outcomes. 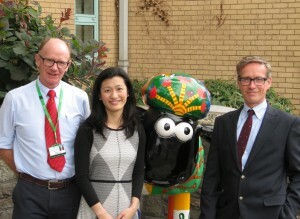 Along with co-authors Stuart Cook and Derek Tole, Dr Chow states: Over the next few years, VISICORT will generate a better understanding of adverse immune reactions to tissue transplants as biological samples from over 700 corneal transplant recipients in Europe and the UK is systematically profiled. This will in turn lead to new developments in surveillance, prevention and management of corneal transplantation, particularly for those at high risk of rejection. This study was presented at World Cornea Congress 2015 in San Diego. 1 Chow S-P, Cook SD, Tole DM. Long-Term Outcomes of High-Risk Keratoplasty in Patients Receiving Systemic Immunosuppression. Cornea 2015, forthcoming. Corneal transplantation involves the replacement of damaged cornea with donor tissue. For some of the commonest forms of corneal disease, there are currently two primary approaches to transplantation: Full-thickness, or penetrating keratoplasty (PK), which involves the replacement of the entire cornea, and endothelial keratoplasty (EK), which involves the selective replacement of the diseased layer of the cornea, leaving healthy areas intact. Over the past 15 years, EK has emerged as the preferred form of transplantation in cases of visual loss due to endothelial dysfunction. EK offers a number of advantages, by comparison with PK, including possible lower incidence of transplant rejection. However, the theoretical advantages of EK have not always been reflected in the clinical data. To date, published studies have reported widely variable rates of rejection and subsequent graft failure following EK. Newly published data from the UK Transplant Registry has provided further evidence that EK does not result in a lower incidence of transplant rejection and graft failure. The authors of ‘Transplant Rejection Following Endothelial Keratoplasty and Penetrating Keratoplasty in the United Kingdom: Incidence and survival’ report the results of 3,486 corneal transplants carried out in the UK for two specific corneal diseases and conclude that ‘there is no significant difference in rejection-free survival between EK and PK.’ They also report that the presence of inflammation can be an important risk factor for rejection suggesting that attention to its control before and following surgery is important. This finding highlights the importance of VISICORT’s work to investigate the markers of transplant rejection and to develop new therapies to control post transplant inflammation. 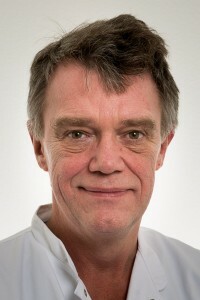 Prof. Jesper Hjortdal (Aarhus University Hospital), who leads the VISICORT Clinical Study Group comments: Immune reactions (rejection episodes) towards transplanted corneal tissues are common and a rejection episode often results in failure of the corneal graft. In the UK study follow-up was missing for 10-20% of the operated patients, which actually is superior compared with many other registries. Smaller, single clinic studies have been in-line with the UK Transplant Registry Study, although a tendency to lower rejection rates for EK was found in patients with Fuchs endothelial dystrophy (1,2). Prospective, longer-term studies extending beyond a 2-year follow-up are needed to further evaluate risk factors for immune reactions. VISICORT will provide such data within the coming years. 1. Hjortdal J, Pedersen IB, Bak-Nielsen S, Ivarsen A. Graft rejection and graft failure after penetrating keratoplasty or posterior lamellar keratoplasty for fuchs endothelial dystrophy. Cornea. 2013 May;32(5):e60-3. 2. Pedersen IB, Ivarsen A, Hjortdal J. Graft rejection and failure following endothelial keratoplasty (DSAEK) and penetrating keratoplasty for secondary endothelial failure. Acta Ophthalmol. 2015 Mar;93(2):172-7. The Medical Times and the Irish College of Ophthalmologists announce the commencement of recruitment for the VISICORT trial. 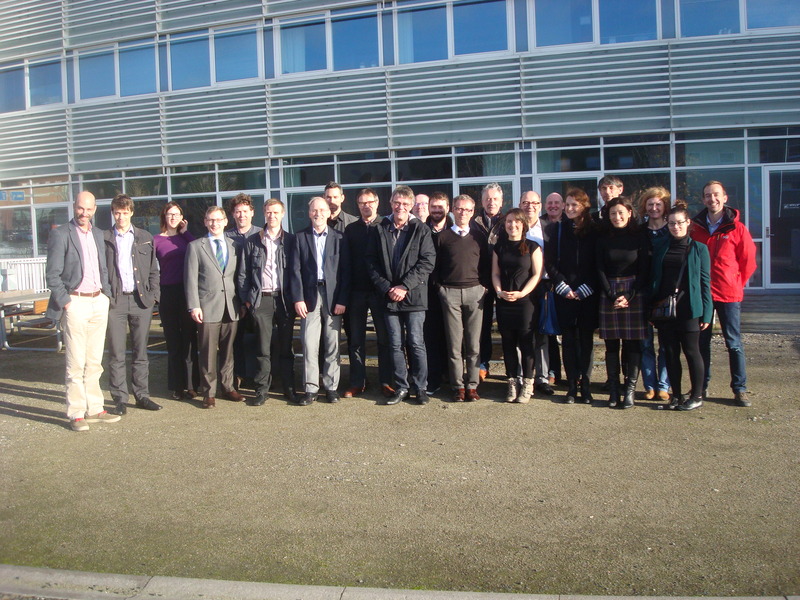 VISICORT partners NUI Galway, Orbsen, and Pintail are involved in NEPHSTROM, a new European project, which was launched last week. NEPHSTROM involves eleven partners from Ireland, the UK, Germany, and the Netherlands, and has received €6 million funding under the European Union’s Horizon 2020 funding programme. NEPHSTROM will evaluate the clinical safety and efficacy of a next-generation cell therapy discovered by Galway-based Orbsen Therapeutics, to combat diabetic kidney disease. Find out more about the project at www.nephstrom.eu.